I had big dreams when I got off work today friends. Big dreams. I was going to make one of those cakes that are made of layers and layers of crepes, ganache, and poached pears. I had it all planned out. Then as I left work I realized it was pouring rain. And I had a flat tire. And I couldn’t find the bike repair place. And then I walked home without an umbrella. It’s a half hour walk. I was cold. Very very cold, the kind of cold that makes your spine hurt because your hunching over so much. And then, I really didn’t want to make 25 crepes. I didn’t want to peel a dozen pears and poach them. What I wanted was to drink hot chocolate and watch season 2 of “Bored To Death” Jason Schwartmans clincically funny television show. 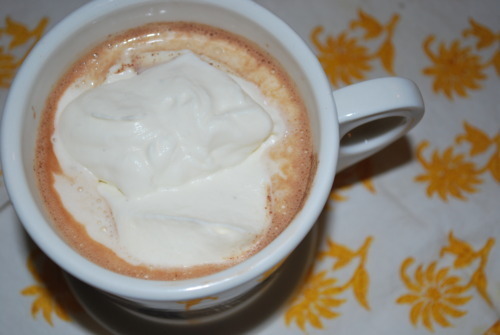 So, heres a wonderful recipe for hot chocolate. 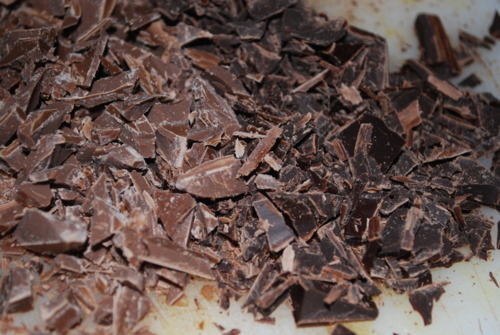 You could easily use all milk chocolate or dark chocolate, but I usually have both on hand, so I usually use both. It’s very chocolaty hot chocolate, but using some cocoa powder I find helps thin it slightly, so it’s not just a drinkable ganache. And it’s exactly what you need on a freezing cold rainey day. I’ll make marshmellows soon, I promise. But not today. Today was for whip cream. And it was glorious. 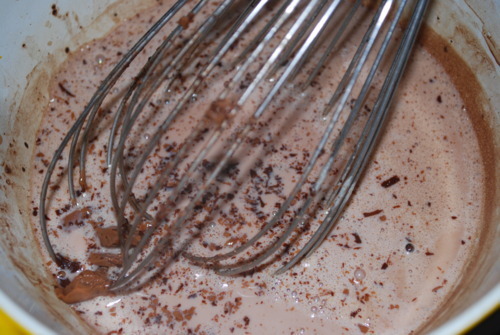 Once milk mixture is barely boiling take it off the heat and mix chocolate in until completely disolved. 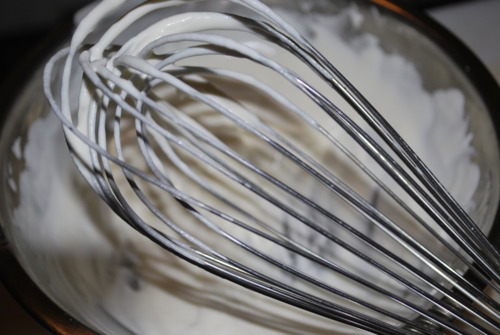 Pour into your favourite mug and top with whip cream!